Winterbourne Stoke is a pretty little village set on the A303 in Wiltshire. Like many rural communities, it is slipping ever deeper into the digital divide with a decaying telephone infrastructure resulting in a poor and worsening broadband and other digital services. This blog is a record of our attempts to try and improve things. If you want to get in touch - leave an email address in a comment. So, Just What Is Going On? I'm someone who is intrigued with the idiocies of existence and who does not suffer fools gladly. As I get older, I have a sense of general disquiet about the way things are going. It's been over a year since anything has been posted on this blog and with very good reason. Broadband in the village remains atrocious, but for the last year we have had a glimmer of hope on the horizon - that we are part of the 3rd phase of Wiltshire Online's broadband initiative with BT. Things have been moving incredibly slowly, glacial even, but they are moving. Thankfully, and despite many years of us trying to pin their wings to the wall, we still have an amicable arrangement with senior figures in BT. That has proved a bonus as the information provided to us and others in the village by Wiltshire Online has proved to be completely useless. In fact, you could argue it amounts to disinformation, so far has it been from the reality. A lot of the the "heavy lifting" on broadband in the village has now been take on board by the Parish Council - arguably the ones who should have led from the front on this issue from the outset - 8 years ago. Unfortunately, it's taken a while to get through to some that the world has moved on from pen and paper! The Parish Council has just launched its own web site and they have already published two news itemson broadband. Well done we say, and long may it continue! 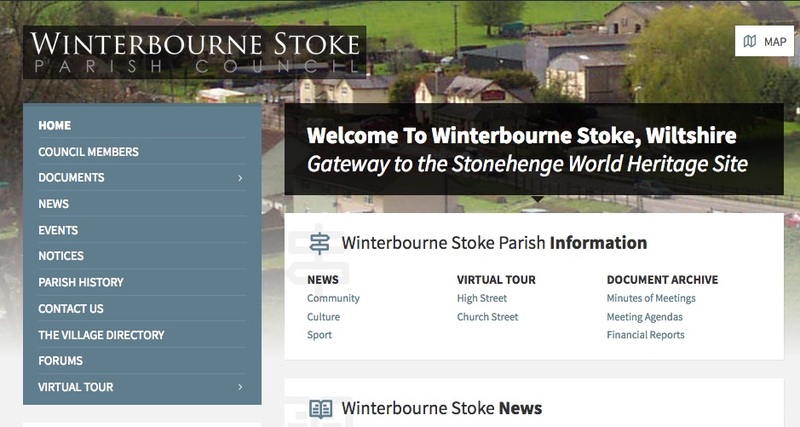 The first of these articles outlined what Wiltshire Online had told a villager about the state of the plan to bring superfast broadband to Winterbourne Stoke. It sounded as if BT were struggling to get wayleaves granted and that the whole plan was falling behind because of it. This was very different to what we understood to be the case. The second article followed some digging by us on behalf of the Parish Council as we were so concerned about the "story" being put out by Wiltshire Online. The BT response was clear, concise and to the point. The project was still on track and running in accordance with what had been said to a meeting of the Parish Council and other interested parties at the end of 2015, save for a small slippage which the Parish Council had been made aware of in the summer of 2016. Wiltshire Online clearly have little knowledge of the program they are meant to be running. Someone, Wiltshire Council specifically, should be taking a long hard look at this group and asking some very hard questions! At the last meeting of the Winterbourne Stoke Parish Council in July 2015, it was agreed to send a later to Wiltshire Council expressing concern about the state of broadband in Winterbourne Stoke. The letter, reproduced in full below, pointed out how improvements being made to the exchange in Shrewton, to allow, users closer to the exchange than us to receive superfast broadband, was actually reducing our speeds and quality of service. Up until mid 2008, the village had a slow (sub 1.5Mbps) but reliable broadband service provided by several UK ISPs. Then we were hit with repetitive electrical impulse noise (REIN) on a nightly basis. Speeds plummeted - in some cases to sub-dialup speeds of 135kbps. We have not yet been able to find the cause of the REIN, but it is worsened by having a 'middle-mile' underground cable made of aluminium - notorious for this type of problem and the responsibility of BT Openreach. The solution would be to replace this old and decaying infrastructure with copper, or more logically fibre, to future proof the connection. Openreach won't pay for this, as they say the cost (£180,000) is too high for them to recoup from a small customer base, so we are stuck.